Stacey Dooley has been announced as the host of Glow Up: Britain’s Next Make-Up Star, the brand new make-up competition coming to BBC Three this year. Joining Stacey throughout the series will be industry professionals Val Garland, Global Make-Up Director for L'Oréal, and Dominic Skinner, Global Senior Artist for MAC, who will judge the competition. Announced earlier last year, the elimination series will see ten contestants live and work together as they compete to win a contract assisting some of the world's biggest make-up artists. 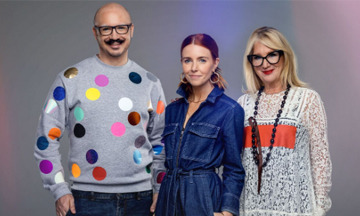 With different creative briefs each week, they will need to bring lashings of passion, originality and skill to impress Val, Dominic and expert guest judges from worlds such as fashion and film.